Discount Frenzy coupons are likely to be related to the website which you are browsing; however, bear in mind that Discount Frenzy may also take you to some third-party websites. None of the websites promoted by Discount Frenzy is controlled by the developers of the application; hence, the presence of some ads does not prove that Discount Frenzy endorse them. You interact with those advertisements at your own risk, which means that computer infections, data loss or any other damage caused to you or your computer are your own responsibility. Before making a purchase or order, make sure that you can trust the service provider in order not to suffer from adverse consequences. 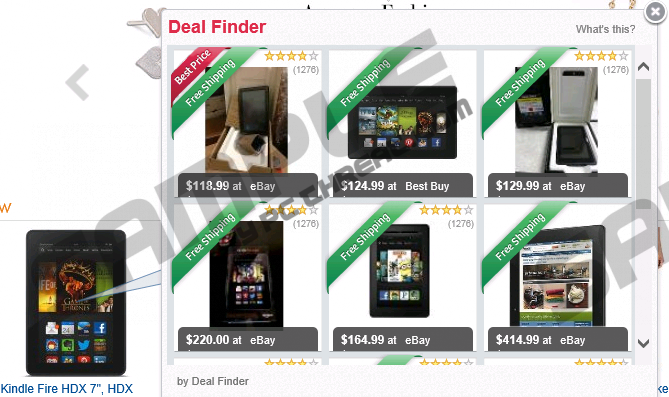 Like a majority of browser add-ons which are known as adware, Discount Frenzy may monitor you. The information that is being collected includes your search terms, clicks, impressions, browsing preferences, the URLs of the websites that you visit and the features of the operating system. The information is used to determine your browsing patterns which are likely to help advertisers provide you with specific advertisements at a particular moment. Although Discount Frenzy is not aimed at revealing your identity, by keeping Discount Frenzy on your PC you risk your privacy because some personally identifiable information may be acquired from your browsing sessions. Thus, if you want to prevent your privacy, you should remove Discount Frenzy from the computer. The removal of the unwanted adware program is not a difficult procedure, especially if you rely on a spyware removal tool. It is possible to uninstall Discount Frenzy from the computer; however, some tracking cookies or other files that are used to monitor you may remain within the system. In order to fully eliminate Discount Frenzy from the computer and protect the system, you should implement a reliable spyware removal tool. Our team recommends SpyHunter, because it can easily remove adware programs, browser hijacker, ransomware infections and many other computer threats. Having completed the removal of the unwanted application, implement a reliable scanner to make sure that all the components of the unwanted program are deleted. Quick & tested solution for Discount Frenzy removal.